VirtualDub 1.6.12 0 out of 5 based on 0 ratings. Performance settings are now auto-saved. Cropping dialogs now auto-scale video that is too large to display and use a dashed crop border for better visibility. Added /cmd flag to quickly invoke a script command from the command-line. There is now an option to avoid tearing in the video display panes. Script: Added VirtualDub.Exit(int) command to end the program with a specific error code. Script: Added VirtualDub.subset.length property for current length of subset in frames (timeline). Script: Added VirtualDub.video.length property for current length of source video in frames. Capture: The list of statistics displayed in the info panel has been expanded and can be filtered from the Preferences dialog. Capture: Modified option to adjust video timing based on drift from ideal stream timing rather than real-time. Capture: Reworked video timing interpolation to be less sensitive to discontinuities in the system timer. Capture: \"Autoincrement filename\" option now automatically skips over existing files as well. Capture: Added timing graph to visualize behavior of resync engine. Capture: Timing logs, if enabled, are automatically saved at the end of capture. Capture: Increased precision of frame period selection from 1us to 100ns to reduce frame dropping at device level when using DirectShow drivers. Capture: Capture from DV sources to type-2 DV AVI using the DirectShow DV driver is now supported. Capture: Backspace now works when entering channel numbers. Increased precision of processing fps estimate. \"Space\" is no longer listed as an accelerator for \"abort dub\" since it doesn\'t work as such when rendering to disk. It still works for preview. Fixed job control re-enabling itself if a menu command is chosen while a job is running, leading to possible reentrancy crashes. Clearing the current job list or loading a new one while a job was in progress led to a crash. Invalid MPEG-1 layer II frame headers display a slightly less confusing error than \"internal error.\"
Renamed \"use internal MJPEG decoder\" in AVI extended open options to \"use internal decoders,\" since it happened to force the internal DV decoder too. Added a sticky option in Preferences for this. Filters were receiving inconsistent output frame numbers when using input preview or saving with a starting offset. Fixed crash when crop rectangle reduced filter input to smaller than 1x1. Fixed crash when using deinterlace filter in \"duplicate field 2\" mode. Fixed broken cropping in some modes of deinterlace filter. Manually stopping a save operation will now also stop a running script, and cause a command-line task to return with an error code. CLI tool didn\'t work properly when path to vdub.exe/vdub64.exe contained spaces. Removed some hard-coded limits on frame rates in the Frame Rate dialog box. Fixed minor memory leak when plugins fail to load. Fixed a case where an I/O error on the output AVI file could cause a hang instead of an error to be displayed. MPEG-1: Fixed yet another rare frame decoding error when seeking randomly in the timeline. MPEG-1: Fixed crash when opening file with all CPU optimizations forced on. D3DFX: vd_tvpcorrect, vd_t2vpcorrect, vd_tvpcorrect2, and vd_t2vpcorrect2 constants were computed with U and V sizes swapped. Capture: VFW devices sometimes didn\'t display overlay properly with full-height frame sizes and consumed additional CPU due to the preview hook being left enabled. 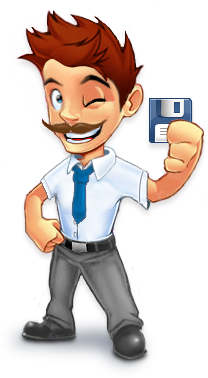 Capture: The Video File (emulation) test capture driver is no longer a candidate for being saved as the driver to auto-start the next time capture mode is entered. Capture: Unicode filenames are now displayed properly in the title bar. Capture: Fixed 0.03%% sync error when using NTSC frame rates. Capture: Fixed random crash when modifying filter parameters with a WDM capture driver active in accelerated preview mode. Capture: Fixed keyboard focus on startup so that entering channel numbers works again. Capture: Fixed instability on reporting errors when audio resampler is enabled. (AMD64 only) Fixed crash when opening a Motion JPEG file with no MJPEG codec installed. Note that the internal MJPEG codec still isn\'t implemented for this platform. Capture: Fixed normal errors sometimes being reported as internal errors.